Here you will find material pertaining to Kevin's roles in a variety of films, starting at the bottom of the page with the 2012 film Brave. Films where Kevin plays a lead role, or possible franchises such as Percy Jackson, will have separate pages devoted to them under the Archive section of our site. 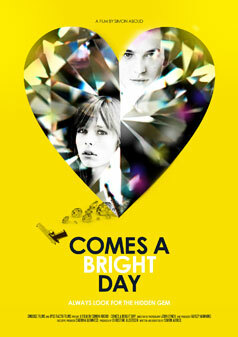 An offbeat, coming-of-age love story set during the armed robbery of London’s most exclusive jewellers. Sometimes funny, often dark, always captivating and never what you expect. The movie's official website no longer exists but there are several sources featuring behind the scenes photographs and video. Below you will find an index of articles and websites. Some articles may contain pictures or video. 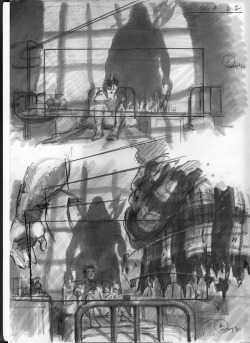 Sample of official storyboards created by Jane Clark. The rest can be found HERE. Kevin says that he has just finished a Britannic-American movie, in English language. That it's a "ghost movie" adapted from an English best seller. It is about a ghost family from the 13th century, who is displaced from their manor, which is demolished to build a modern building. The family is compelled to live with human being from the 21th century and they don't understand what is happening to them! Kevin says that its' very funny , at a moment it's affecting and again very funny and quite crazy. He says that this movie try to go back to the traditional ghost movies like 'Beetle juice" or"Ghostbusters" except that the hero's are the ghosts. The hero of the story is a young boy of 12 so it's his first movie. He says the most known actor is Kevin McKidd ,who is the father of this family, the brutal Scottish narrow-minded and a little bit stupid. 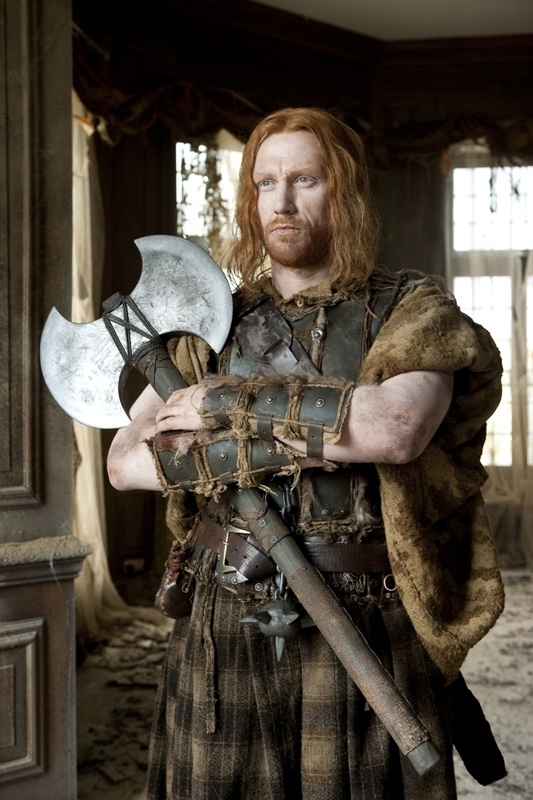 He adds "Kevin McKidd that we can see in Grey's anatomy or Rome"
Synopsis: "A rugged and mythic Scotland is the setting for Pixar’s action-adventure The Bear and the Bow. The impetuous, tangle-haired Merida, though a daughter of royalty, would prefer to make her mark as a great archer. A clash of wills with her mother compels Merida to make a reckless choice, which unleashes unintended peril on her father’s kingdom and her mother’s life. Merida struggles with the unpredictable forces of nature, magic and a dark, ancient curse to set things right. Director Brenda Chapman and the storytelling wizards of Pixar conjure humor, fantasy and excitement in this rich Highland tale." Originally titled The Bear and The Bow, Brave has been in the works since 2009 and was originally slated for a Christmas 2011 premiere. Kevin McKidd attended the U.S. and Scottish premieres for Brave during the last two weeks of June 2012. He also gave several interviews to various talk shows: Craig Ferguson, The View, Good Morning America, VH1 Big Morning Buzz and The Talk. Please visit COforever's youtube channel to view clips. The interviews contain information regarding Kevin's ongoing projects and charity work, in addition to promoting Brave. Kevin also spoke to a variety of magazines and newspapers in Great Britain and the United States. Below is an index of articles and video clips. 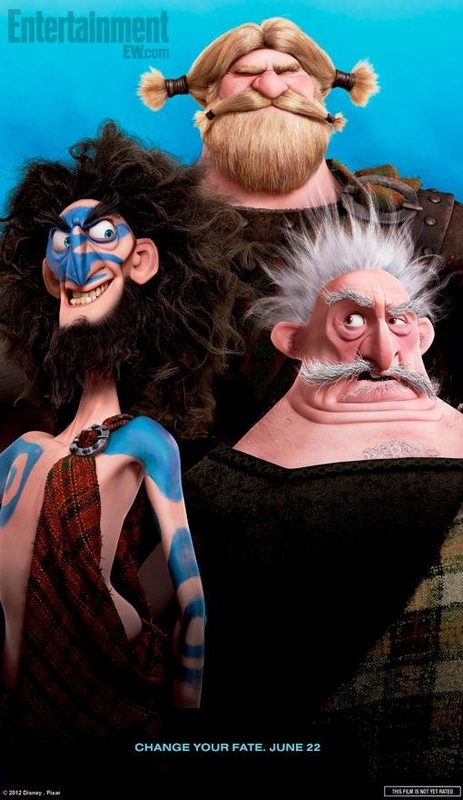 BRAVE premiered at the Seattle International Film Festival before it's official Hollywood premiere June 18, 2012. The films official European premiere was at the Edinburgh International Film Festival on June 30, 2012. Interviews with magazines and newspapers worldwide can be found at these sources. Articles may contain pictures or video in addition to text. 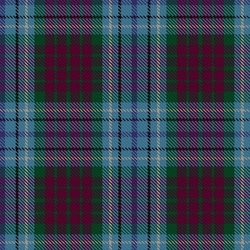 Tartan Details - DunBroch The information held within The Scottish Register of Tartans for the "DunBroch" tartan. In addition to a dvd release slated for October 2012, there is a BRAVE soundtrack and a book "The Art of Brave" available to fans.